‘Cookie Caster’ Creates 3D-Printable Models for Custom Cookie Shapes #3DThursday #3DPrinting « Adafruit Industries – Makers, hackers, artists, designers and engineers! Have an idea or shape that you’d really like to translate into a cookie cutter shape, but don’t have the chops to learn 3D modeling or scale everything accordingly for 3D-printing? 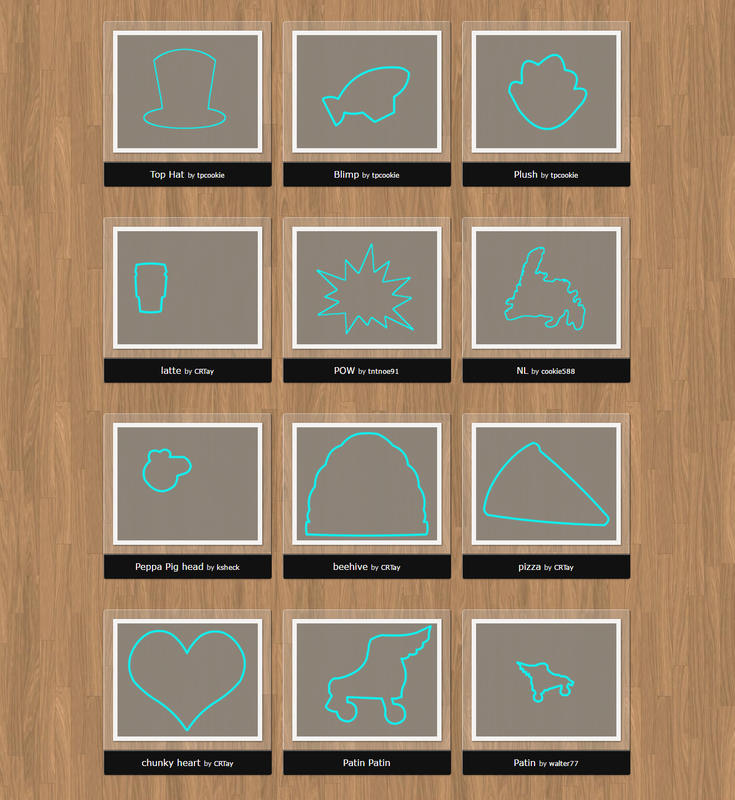 Cookie Caster solves all of that with a simple pen drawing or tracing interface to create custom shapes that automatically render and can be exported for sending to a 3D-printing service. 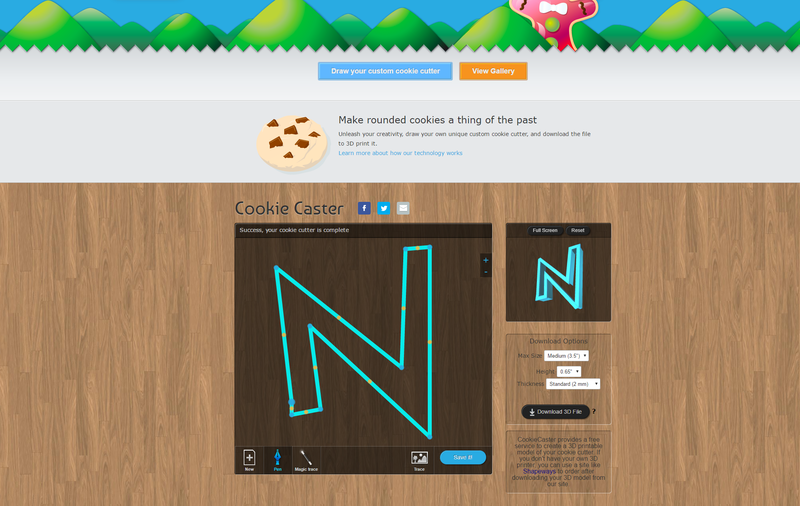 CookieCaster provides a free service to create a 3D printable model of your cookie cutter. You can adjust settings like the max size of the print, the height of the print (in accordance with how thick you want your cookies to be! ), and thickness of the model (i.e how thick or thin you want the print to be, which will effect costs and weight depending on the material used). Thanks to Donald Bell’s Maker Project Lab Update #15 for tipping me off to the site!